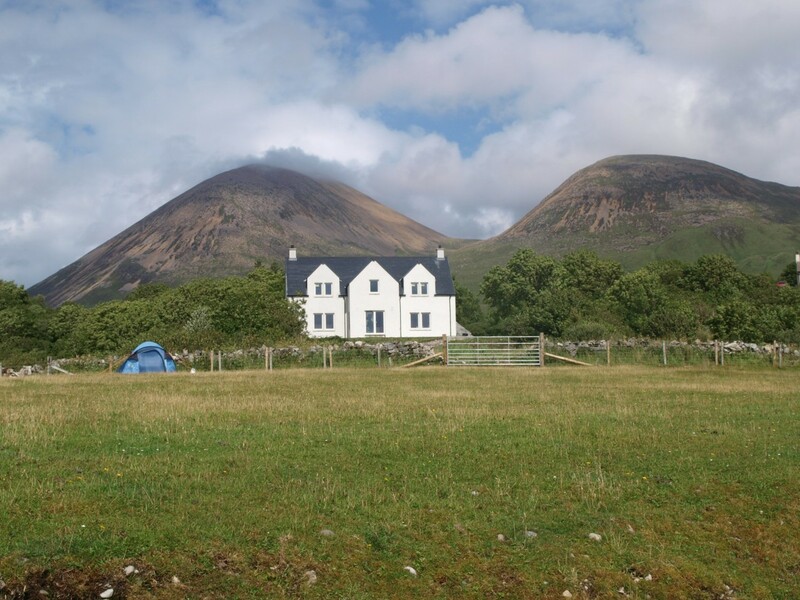 This project is located on one of the most beautiful sandy beaches on the south end of Skye. Our clients had a very responsible approach to the site and wanted their new house to look as if it had been there for centuries. We adopted the traditional exterior proportions of an island farmhouse and internally created the open plan and flexible space the clients required. The house is based around a large central hall which acts as a gathering place, is well lit and used as an extra room. On opening the front door there is a view straight through the large front windows which frame a dramatic view of Eigg and Muck across the water. The rear windows frame the Red Hills and the east windows look towards the Black Cuilins. 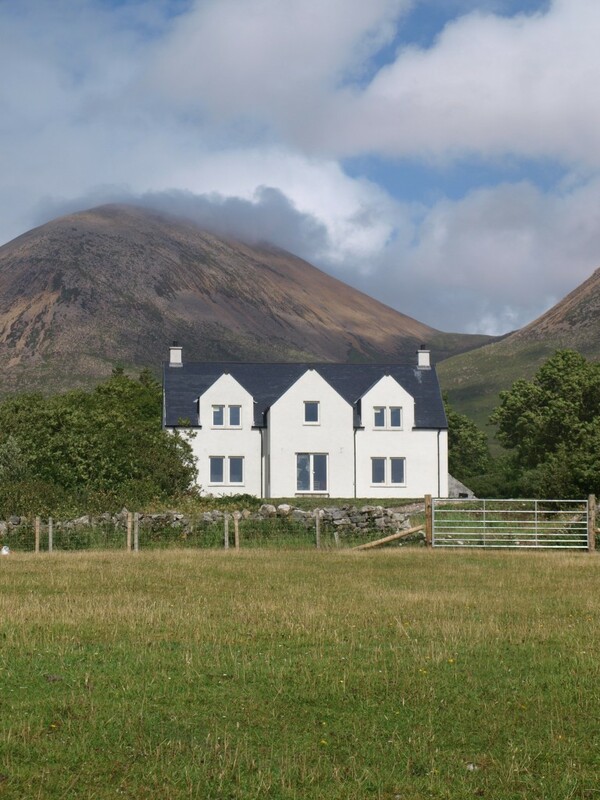 ‘For this new-build farmhouse, we adopted the traditional exterior proportions of an island farmhouse and internally created the open plan and flexible space the clients required. The house is successful in its traditional design, is attractive and slots well into its stunning environment. It is highly energy efficient and includes high levels of insulation, a ground source heat pump and a thermal store, providing low-cost living for the clients.